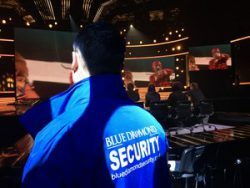 For the specialised role of Television and Film Production Security we, at Blue Diamond Security, have a vast amount of experience in providing a fully rounded and inclusive security plan for any production whether it is in the studio or on location. 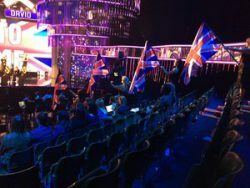 We work directly with ITV, RDF West, as well as many other production companies. 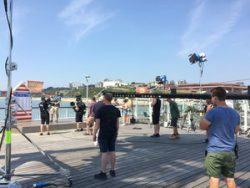 For many Location Managers, Production Managers and Production Coordinators we provide personnel in all roles from Personal Protection Officers for A-List Stars and Celebrities to Static Security Officers and Back Stage Security. 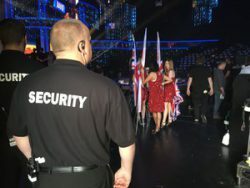 For many productions, we also provide discreet security officers working within audiences to protect hosts, celebrities and acts while they are on stage. 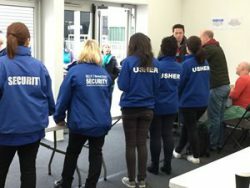 We also offer On Location Security, Traffic Mangement and Crowd Control Services using qualified and uniformed Stewards and Security Officers to manage audiences, general public and fans as well as ensuring that paparazzi coverage is not intrusive. Recently we have had Talent Protection Teams at the Voice and The Voice Kid's, RDF's Dickenson's Real Deal and working on This Morning at various locations nationally. 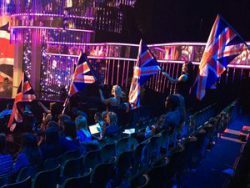 Our Blue Diamond Studio Ushers have a vast amount of experience from the days of Pop Idol in 2001 through to X Factor and BGT, more recently the Usher Team have been working on The Voice and The Voice Kids at Elstree Studios where we also provided a cloakroom facility for the audience. Our ushers are helpful, approachable and can seat a full house of production guests with limited time. 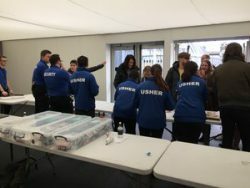 As with our security services, our head usher will come to meetings before TX day and be on site to assist and advise well in advance of her team's call time. 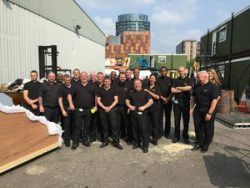 "I have had a quick look your quote at it wasn't as terrifying as I thought so thank you very much for taking the time to think of clever workarounds with shift times and thank you for the freebies!" – HM, ITV. All Blue Diamond personnel hold government licenses issued by the Security Industry Authority (SIA). It is now illegal to operate as or employ a person in a security role without this licence and as such we carry out full checks on all our employees to ensure that they have the correct training and authority to carry out their assignments. Copyright © 2018 Blue Diamond Security. All Rights Reserved.